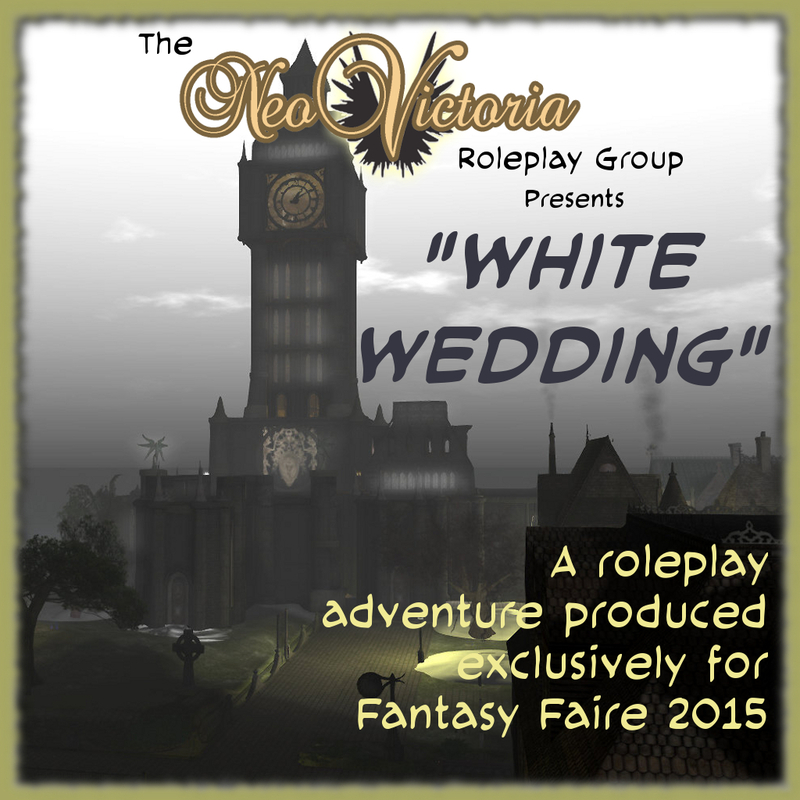 Here is the schedule for the roleplay cycle we’re producing for Fantasy Faire 2015. Some scenes are set in NeoVictoria SIM and some are in the Aurora SIM in the Fairelands. Groom arrives in NeoLondon. He sets himself up in the tavern. Visits the library in the Apothecary. During this visit, winter descends on the city. Groom does his spell within the hidden Sidhe slithen under Sidhe Park in NeoLondon. 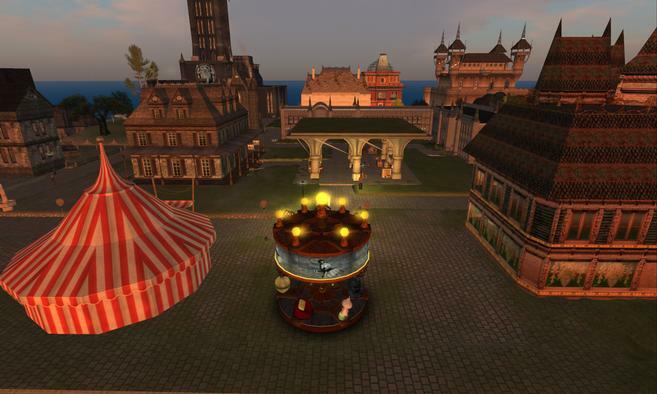 He decamps to Aurora in the Fairelands. The Bride arrives in NeoLondon, seeks our help. NeoLondoners plan the trip to Aurora. The scene begins in NeoVictoria as the NeoLondoners make the trip to Aurora. Once we’re in Aurora SIM, we set up the bride in the Cathedral there. The NeoLondoners search for the groom. Perhaps with the help of the Aurorans, we find him. We set up the experiment, perform the experiment again, and they are released. The NeoLondoners celebrate the lives of the lovers with a party, then prepare to return to NeoLondon. Party with DJ from 7 PM to 10 PM. Note: Ariadne Fall will be our DJ, their set will be on the land streams for all of the FFaire SIMs, however, they will RP with us in Aurora for the party. NeoLondoners return to NeoVictoria. They take what they’ve learned to Cerriwen and she is able to lift the curse.